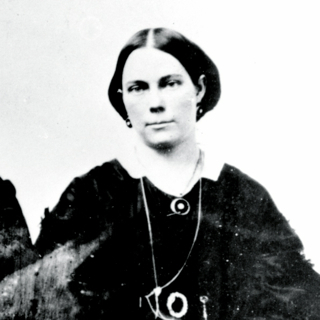 How old was Harriet Amelia Folsom when she married 60-year old Brigham Young in 1863? From the life of Jane Allgood Beech: Jane Allgood was baptized as a member of the Church of Jesus Christ of Latter Day Saints in England at the age of twelve. In 1854, the family set sail on the ship “General McClelland,” bound for the New World. There were two unfortunate mishaps on board the ship. One was when it struck an iceberg, and the other was when the sails caught fire. They landed at Castle Gardens, New York, and then traveled on to Nebraska; they joined a company under Captain Joseph Rawlins, then traveled on to Wyoming. Jane walked most of the way with her good friend Emma Ward. One day they were so tired that they sat down to rest, and let the company travel on. A man on a horse urged them to hurry and catch up with the company, which they did. She always though the man on the horse was one of the three Nephites. They arrived in Salt Lake City in October, 1868, and later moved to Coalville, Utah. International Society Daughters of Utah Pioneers, Pioneer Women of Faith and Fortitude, (Publisher Press, 1998), 1:204.